This is how search box used to be in previous version of IE. 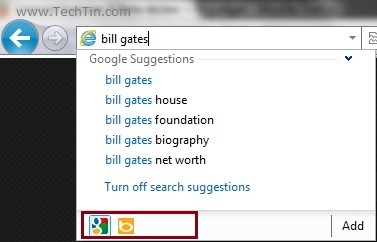 In IE9 address bar will also act as search box. There is no separate search box. Just type in the address box and press enter. It will open search search of your default search engine.